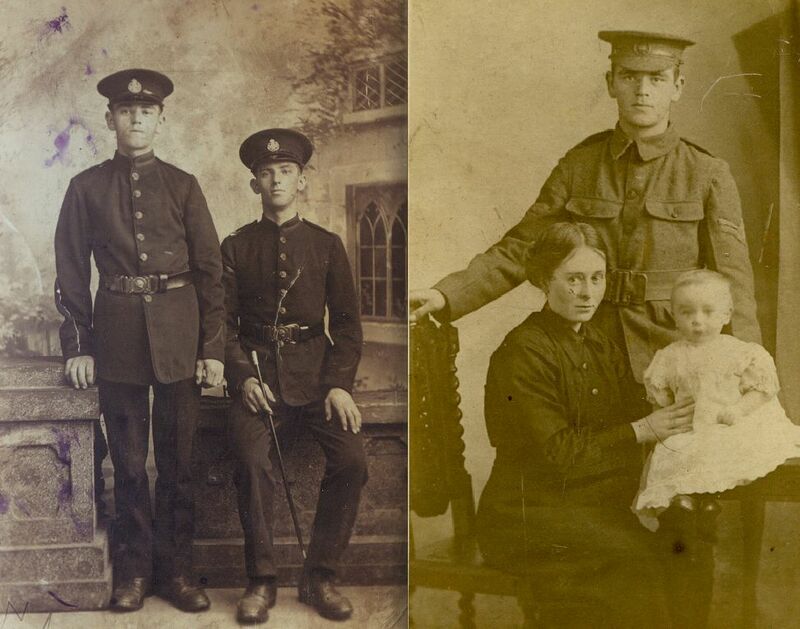 This page is dedicated to the Nall Brothers of Nottingham and many thanks to Tony Nall for sending these photographs and allowing me to show them on this website. One of the saddest sequences of the death in action is that of the brothers Jack and Fred Nall, two well known and very highly respected members of Boots. They had both been employed by the firm at Island Street since boyhood, and at the time of enlistment Jack was engaged in the Capsule Dept and Fred in the Packed Goods Dept. No men could have been more popular, for by their integrity and their kindly qualities they had won many friends. It may be mentioned that several years ago Jack performed an act of single bravery in rescuing a child from the River Trent when the flooded state of the waters made this a task of great peril. Sir Jesse Boot marked his sense of gallantry displayed on this occasion by presenting Jack Nall with a handsome gold medal. Now both Jack and Fred have been killed in action with the Robin Hoods in Flanders, the one on October 13th, the other on October 15th. Jack, who was 26 years of age, married, and leaves a widow and one child, while Fred, who was just over 18 years of age, was single. Everyone will sorrow with the widow and her child, and with Mr. and Mrs. Nall Senr., in their hour of affliction. From left: John Albert, Frederick William; George, Lucy and baby George. 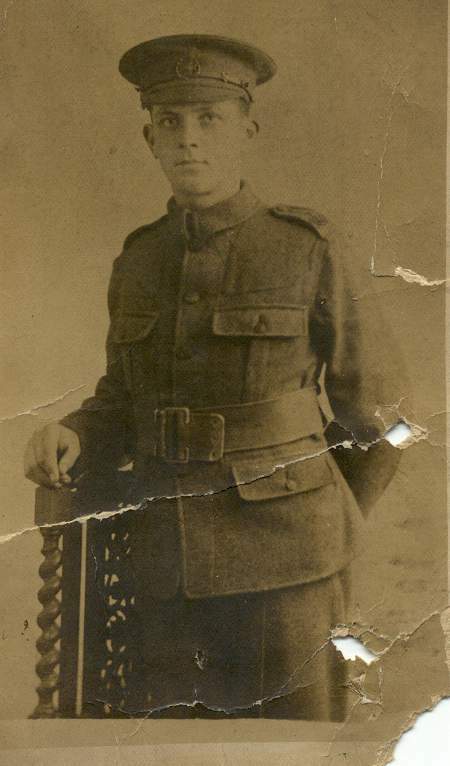 John enlisted into “D” Company the 1/7th Battalion Sherwood Foresters (Robin Hood Rifles) on the 5th March 1909 aged 18 years and was a porter ay Boots. 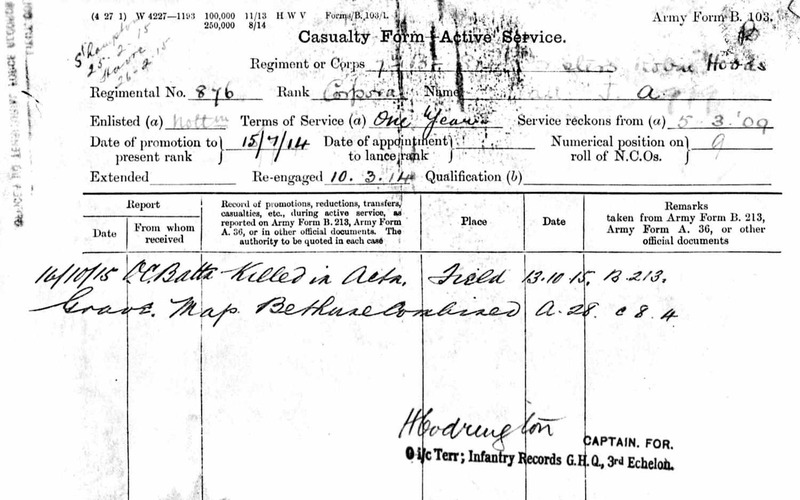 John was killed in action on the 13th October and was reported to be buried at A.28.C.8.4. 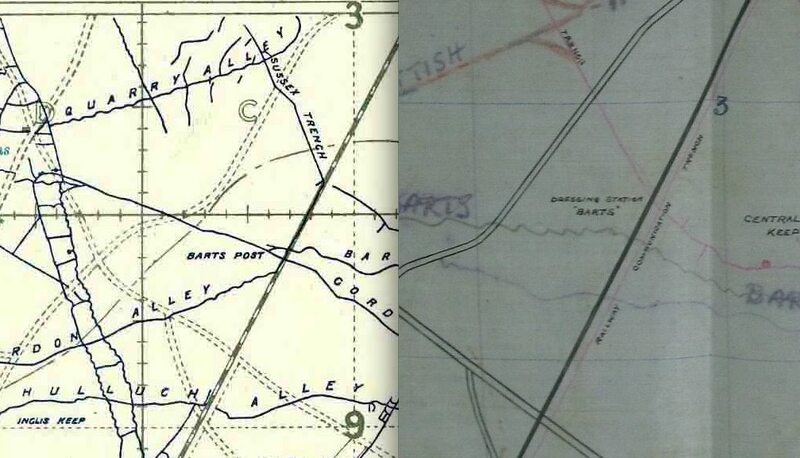 However, this position is unlikely to be correct because it is too close to the German front line trenches. This appears to be a mistake that was repeated on many for many of the Sherwood Foresters; see here. George wearing a single wound stripe. 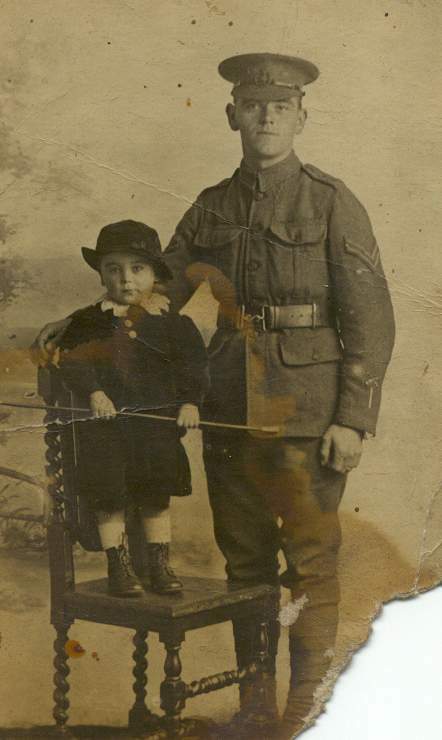 Frederick enlisted into “D” Company the 1/7th Battalion Sherwood Foresters (Robin Hood Rifles) on the 12th May 1914 aged 17 years and like his older brother was a porter at Boots. Frederick was killed in action during the attack at Hohenzollern Redoubt on the 13th October 1915. 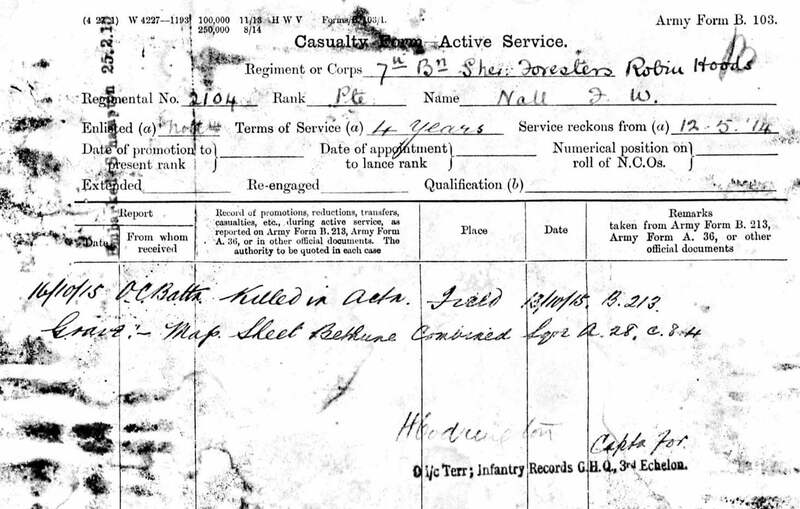 His Army Service Records incorrectly records that his body was buried at A.28.A.8.4 (above). 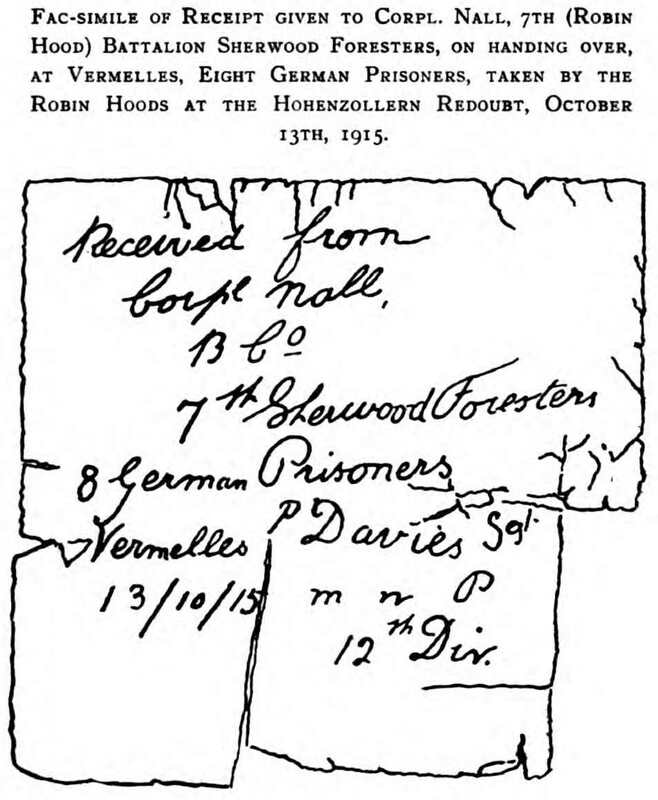 However, his body was later recovered from Barts Alley B Cemetery (G.3.C.5.5.) by the 18th Labour Company in March 1920 and reburied in Loos British Cemetery (below). Note that Frederick’s name is misspelled on the Burial Return. Barts Alley was the site of a dressing station which suggests that Frederick may have been mortally wounded. 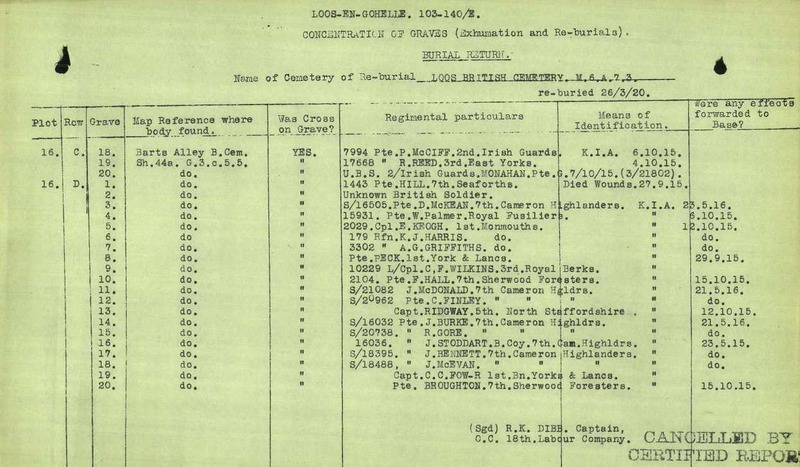 Interestingly, family legend records that George (the surviving brother) carried the bodies of his siblings out of the trenches for burial, or possibly because they were wounded (information from Tony Nall). Indeed, the personal effects of both John and Frederick were returned to their mother.